This Mother's ring comes with your choice of 1 to 7 Princess Cut Simulated Birthstones in Sterling Silver or in Solid 10 karat white, yellow, or rose gold. 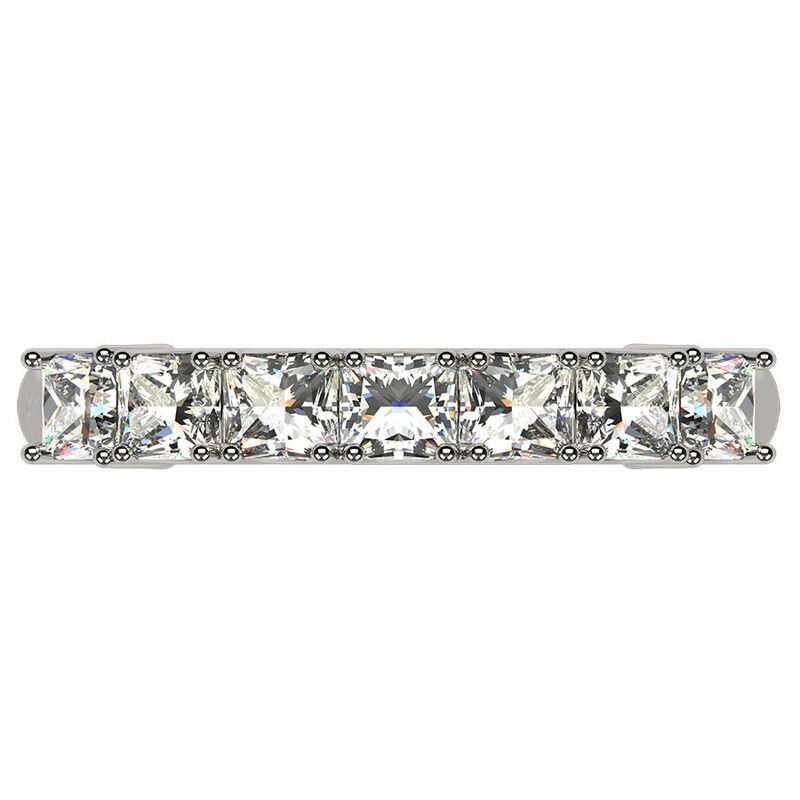 The Princess cut Birthstones measures 3x3mm each. For more information, please view the CAD image on this listing. The way this ring will be set is: You will choose up to 7 Birthstones for us to set in the ring, if you selected less than 7 Birthstones (BIRTH MONTHS), the rest of the Birthstones that will be set in the ring will be clear Zirconia, so if you want to add more Birthstones in the future, you won’t need to purchase a new ring, we will just replace the clear zirconia for you for the new born Birthstone. For an even number birthstones, we will set a 6 Birthstone ring for you so the birthstones will be centered as well. This Ring is Personalized and Customized for you, with the gemstones of your choice. This mom ring, nana ring, can also be a gift for your significant other especially when you are hoping to build a strong bond with her, you will find her grabbing on to it once you present it to her. The mothers ring looks like the loveliest piece of art and gives you the thought that it is time to do something for your mother. Gift her an ultimate mom Ring/Band where the simplicity stands out for the class and beauty of this elegant mothers ring, family ring, nana ring, so artfully designed that it will almost take her breath away. Go ahead and create a vision in metal, Sterling Silver, 10k Gold or 14k Gold, and gemstone, only for mommy dearest. Be quick to show affection for your mother or the mother like figure in your life by giving her an amazing gift in the form of a mothers ring, mom ring, nana ring. Gift her This Ultimate Princess Cut Lucita Style Mother Birthstone Ring, Mom Birthstone Ring, Mom Ring, Nana Ring, to show her that she special and loved! A great Gift for the special lady in your life!